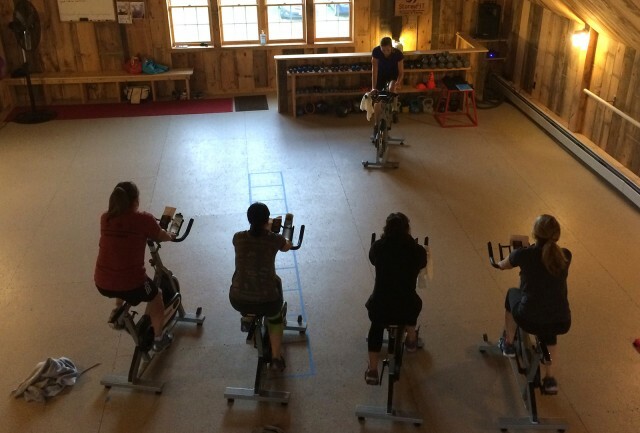 Have you ever attended a spinning class? Had I attended more than exactly two classes, I’m sure that would have been the case. It was much harder than I thought. For those who haven’t experienced this type of self-inflicted torment, you pedal with clipped-in cycling shoes on stationary bikes, with the seat height and handlebars custom-adjusted, and there is a knob that allows you to increase tension to simulate hill climbs. The bike has a monitor for revolutions per minute (RPMs) that can measure other things such as your heart rate. 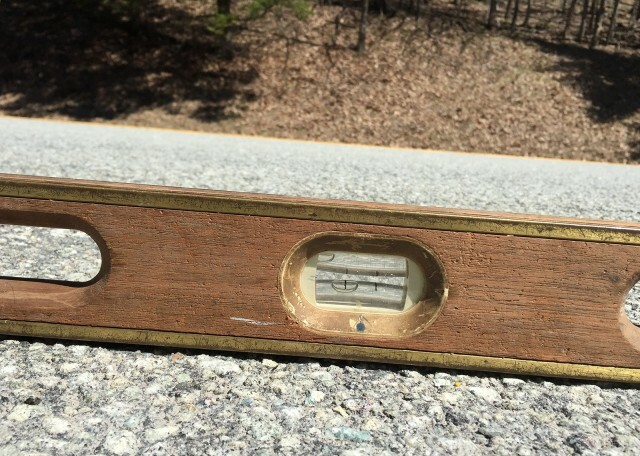 As the instructor prompts you to intermittently increase tension to stand for the hills, and increase cadence to 90 RPM on the “flats” as you “rest,” the sweat pours and time flies. It is a terrific workout (and I wonder if it is even legal to reach a heart rate as high as mine went during those hill climbs). In the course of participating in these two whole classes, I came to the realization that I am in indeed in sub-prime cycling condition. In fact, I might only be ready for downhill riding at this point. As such, as the weather has turned to springlike conditions, with increased temps and longer days, I decided to tackle my inaugural outdoor adventure on my very Fave First Road Ride of the season. 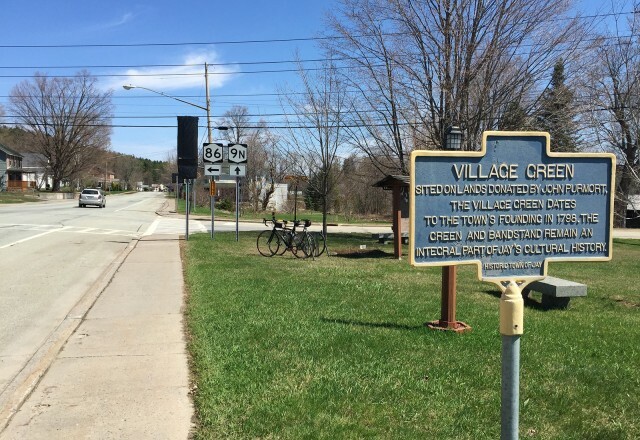 It’s located in the Whiteface Region, also known as the "Biking Capital of the Adirondacks." As a bonus, this particular route is almost completely without elevation gain. My sister and I embarked on our first ride of the season at about 11 a.m. on a sunny Sunday. 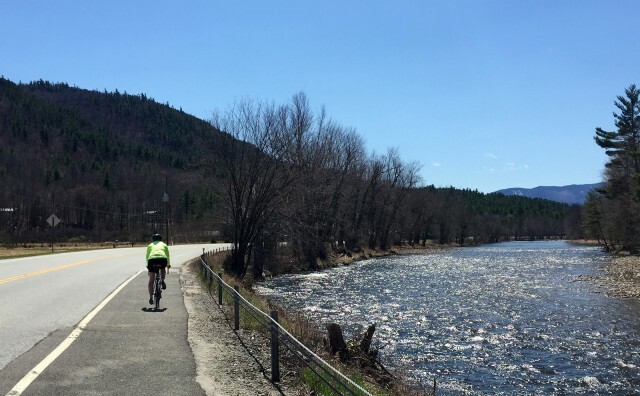 This ride is an approximately 20-mile out-and-back from Keene to Jay along the East Branch of the Ausable River. Starting out in Keene at the junction of Routes 73 and 9N, head toward Upper Jay (and Whiteface Mountain). INSIDER TIP: Counter to my claim of little elevation gain, at about the 2-mile point, there are a couple of slight inclines. Not even worthy of your lowest gear, but notable on the first ride of the season. The rolling ride to Upper Jay is about 6 miles total. 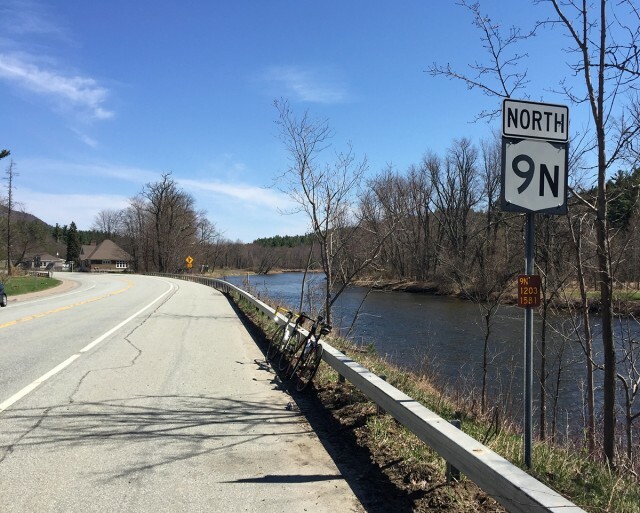 Then you’ll cross a bridge and take a sharp right to remain on Route 9N toward Jay. The section from Upper Jay to Jay is a gem. It’s fairly flat, with spectacular views as it meanders along the river. In addition, the shoulders are so wide that they could be used as a high occupancy vehicle (HOV) smart car lane if needed. Seriously. These shoulders are so wide that cyclists are tempted to ride two or three abreast; which I do not condone, for safety’s sake. There are even a couple of pull-offs on this short section complete with picnic tables and awesome views. As such, you'll often see families out riding this section - here's a shorter route for those with young riders. For planning convenience, this section also has its own identified cycling tour called Between the Jays. As you enter the Hamlet of Jay, there is yet another slight incline that’s over as soon as you see the sign for the Book & Blanket B&B. We rode right to the Village Green, and parked our bikes in the conveniently-provided bike rack for a moment. 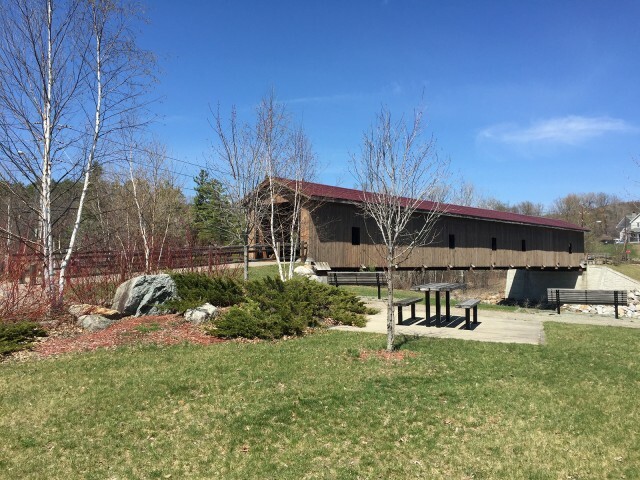 We decided to add a small loop that would allow us to visit the famous Jay Covered Bridge, which spans over a highly photogenic rushing Ausable River. Instead of heading back to the Green for our return, we crossed the bridge, which is only open to bike and pedestrian traffic. On the other side, we found Douglas Memorial Park - another great picnic spot with a view. From there, we took the Jay Bridge Road to Glen Road, up a small incline back to 9N. The ride back on the same exact roads is similar to the ride out, though the opposite direction offers a different perspective of the dazzling views of the Jay Range and the Ausable River. Though it’s early for a lot of leisure travelers to be in the region, we were not alone. Apparently the secret’s out about this route for a nice intro to cycling for the season. We all waved as we passed other cyclists heading the other direction. And pulled to the right when we heard the common “on your left!” as faster pedaling cyclists passed us going the same direction. INSIDER TIP: This is a short section of the Ironman Lake Placid bike loop. Pay no attention to any training Ironman athletes that pass you; they likely attended a lot more spin classes over the winter than I did! If you are UP for a steeper challenge, sign up for the Whiteface Mountain Uphill Bike Race in June. And be sure to check out the many great cycling routes in the region. 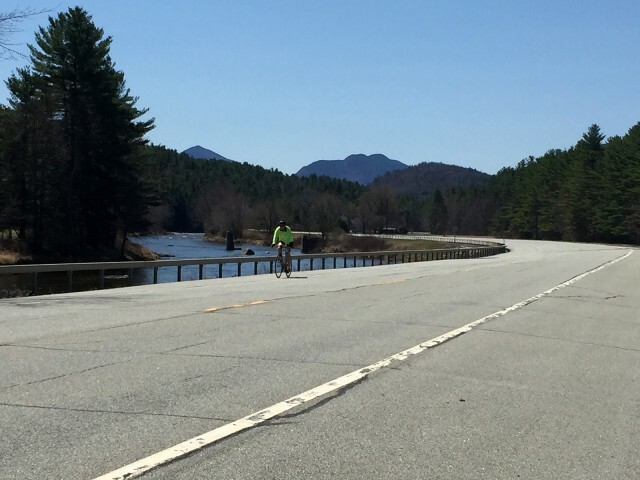 Heck, stay close for a few days and make this your Adirondack road biking hub! - Kim Rielly is the director of communications for the Regional Office of Sustainabe Tourism.